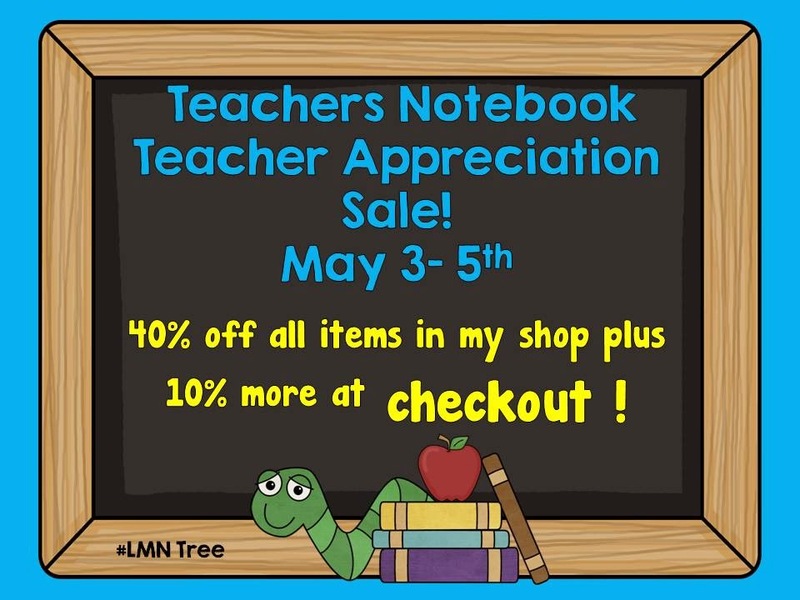 For those of you that follow me or shop on Teachers Notebook I wanted to let you know that starting today and running through May 5th Teachers Notebook is having there Teacher Appreciation Sale. Everything in my shop is 40% off plus TN is adding an extra 10% at checkout. It is a great opportunity to grab a few bargains for the end of this school year or for the beginning of next year especially if you are switching grade levels. Just click on the picture above to access my shop. I truly appreciate all that you do each and every day to make a difference in the lives of your students. Have a great weekend. !